The Vodafone Foundation, a registered charity in England and Wales, on 14 June 2017, announced that it will be expanding its ongoing education programmes to aid 5 million marginalized African children who have been kept out of the educational system from the beginning. The announcement came ahead of the World Refugee Day on June 20. The announcement also follows a UNESCO Research conducted in 2014 had found out that there are 263 million children in the age group of 6-17 years who are out of school. A staggering 93 million of these children belong to sub-Saharan Africa. Furthermore, there are millions of children who have access to schools but fail to acquire basic reading and writing skills; predominantly in the developing regions of the world. While administrative bodies across the world have been relentlessly working towards making quality education accessible to all, technology can play a significant role in achieving this goal. It not only provides instant accessibility to multitudinous options, but also bridges the gap between economically well-off and weaker nations. The Vodafone Group, one of world’s largest mobile communications companies has been at the the forefront of empowering and improving lives using technology. This is the backdrop of the announcement made by Vodafone Foundation and the programme which has been aptly named as Instant Schools for Africa. It will be benefiting children residing in Democratic Republic of Congo, Ghana, Lesotho, Mozambique and Tanzania and aims to provide free access to quality educational materials available online. 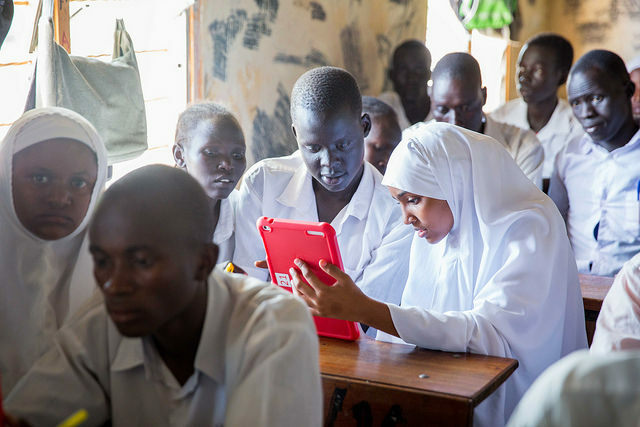 While Vodafone Foundation, in association with UNHCR, already has Instant Network Schools programme that delivers classroom teaching to children in refugee camps using online resources; the Foundation hopes to reach out to children beyond refugee camps through this new initiative. of education and local education experts in each country. It is pertinent to note that the announcement has been made at a time when the Foundation has also published its Connected Education Report, which has revealed that over 50 million children across Africa, India and Egypt can reap benefits through the new initiative by 2025. “Instant Schools For Africa has the potential to transform the lives of millions of children excluded from education, giving them free access to the same materials used by children in developed markets to help them achieve their ambitions,” said Andrew Dunnett, Director, Vodafone Foundation.